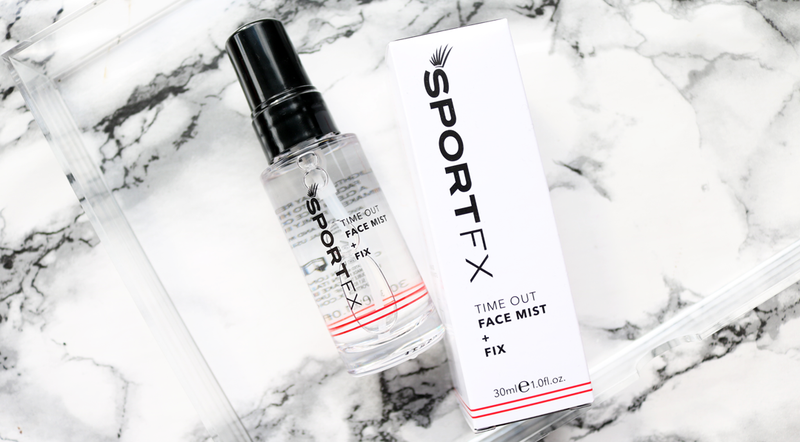 Whether you wear makeup to the Gym or are just looking for a long-wearing makeup range to last you through a busy day at work, SportFX is a brand worth looking into. I recently read a magazine article where they polled 100 female gym goers and found that at least half of them regularly wear makeup to the gym. The main reason given was because they said makeup helped to give them a confidence boost, which I can totally understand. Sweating it out during a session of Hot Yoga or Weight Training can leave you looking like you've just run a marathon, so if wearing makeup to the gym gets more women into doing regular exercise, then I'm all for it! 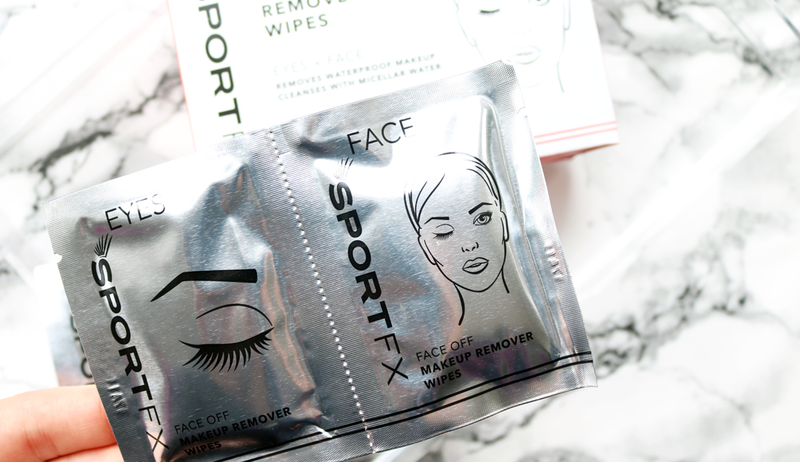 Surprisingly though, whilst many makeup brands now offer longer lasting foundations, there aren't many around who have a full range of gym-friendly, sweatproof products which is why I was so curious to try out SportFX. 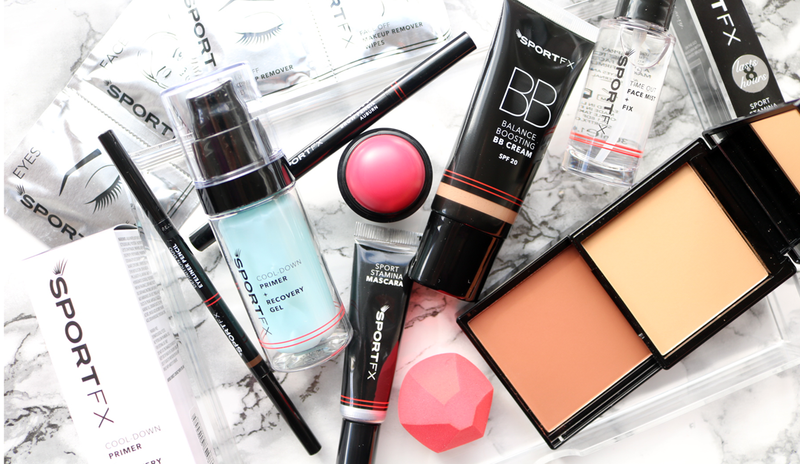 Their entire range is described as 'active makeup and skincare' with innovative long-wearing, sweatproof formulas. 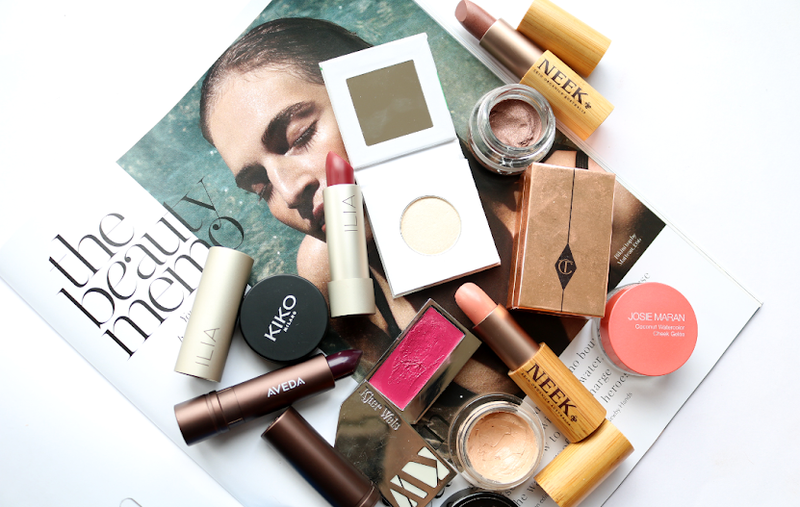 Best of all though, their products are very affordable (think high street/drugstore prices) so I couldn't wait to put some of their bestsellers to the test. If you want your makeup to stay put, applying a primer is one of the easiest steps that you can take to ensuring that it looks good for longer. 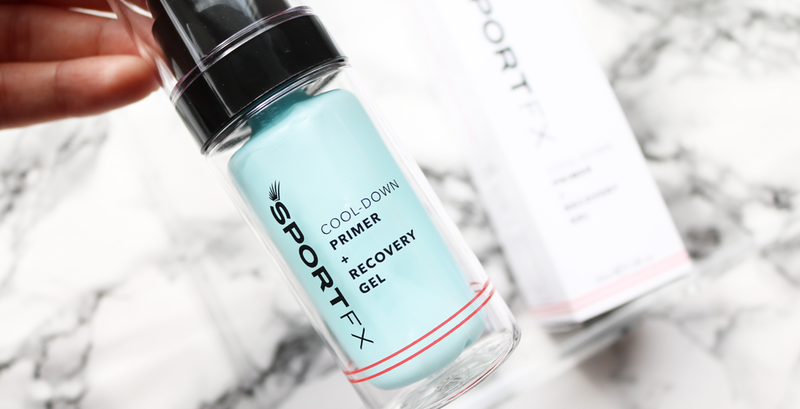 This gel-based Cool Down Primer promises to be high endurance and contains Aloe Vera Gel, Vitamins C, E & F and the anti-inflammatory Panthenol, to instantly soothe and calm down any redness. It feels really nice and cooling on the skin and provides a lovely smooth base for applying makeup. 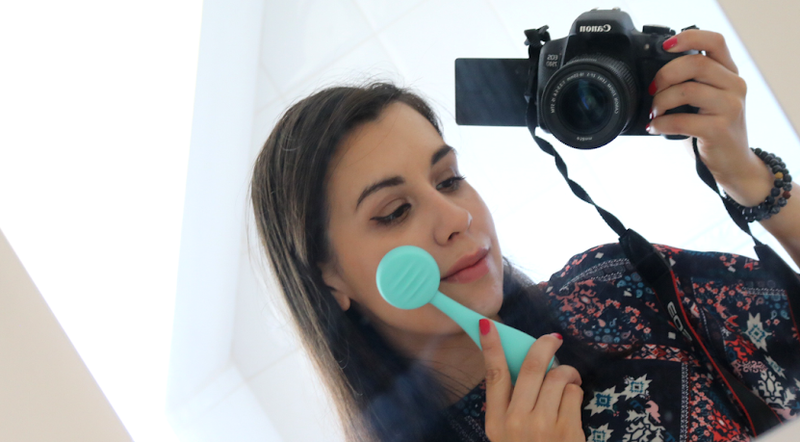 I put it through its paces during a sweaty cardio session and it really does help to keep everything in place, plus my face looked a lot less flushed and red too - win win! 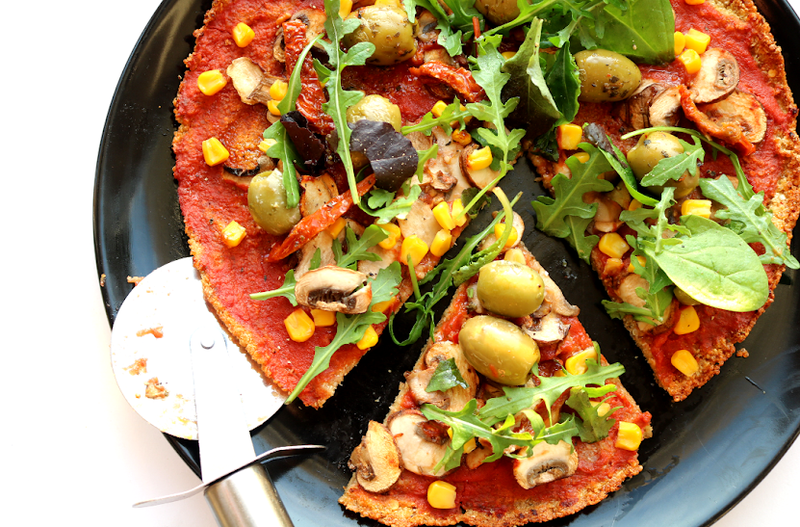 This would be a great primer to use during the Summer months as well. 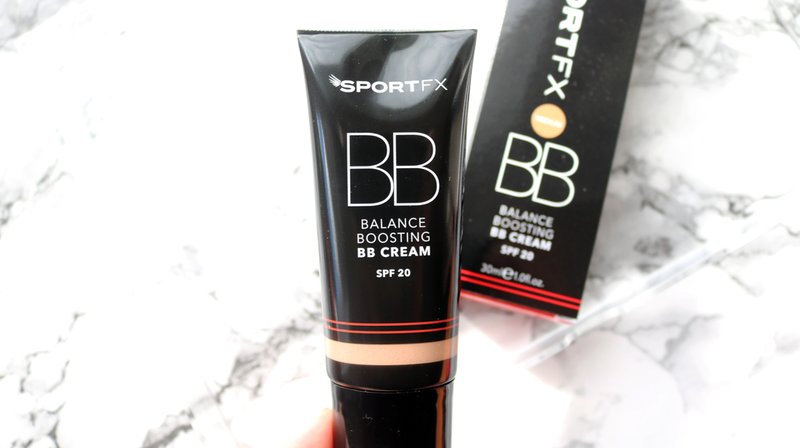 I wasn't expecting much from this Balance Boosting BB Cream as I've tried some similar products from a few other brands in the past, but this one certainly fared better than those. Like the primer, it has a special high-endurance formula which is both fragrance and paraben free. The BB Cream comes in four shades (Medium is pictured above), and is enriched with antioxidants to protect the skin. The formula is quite thick (and best applied with a sponge), but it's sweat-resistant, breathable and matte, and the coverage is what I'd expect from a BB Cream. This held up really well during the sweaty cardio session and was still looking good afterwards. Thanks to the added SPF 20, I'd recommend this to anyone who is looking for a long-lasting, matte, light coverage base for everyday wear, and oily skins will particularly love it. To apply the BB Cream, I used the Blend & Go Makeup Blending Sponge which has an 8-sided design that can be used with liquids, creams and powders for a flawless finish. The sponge is soft, bouncy and easy to use, with the angled sides allowing you to get into those tricky areas, like around the nose, quickly and effortlessly. I also like using the tip of the sponge on its side for applying concealer underneath the eyes. A clever little makeup tool - well done SportFX! 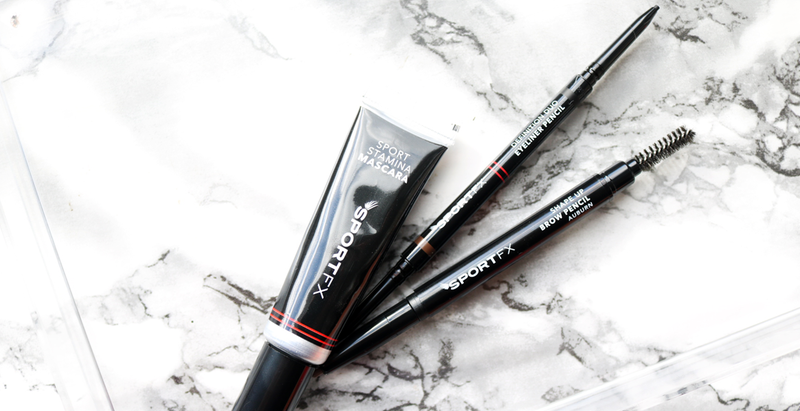 If you're going to wear any kind of eye makeup to the gym, it's a no-brainer that the formulas will need to be waterproof, and all three of these from SportFX proved that they were smudge-proof when I tested them out. The Sport Stamina Mascara is infused with a nourishing and strengthening formula, and contains ingredients such as Sweet Almond Oil, Mango Butter, Carnuba Wax, Coconut Oil and Beeswax. 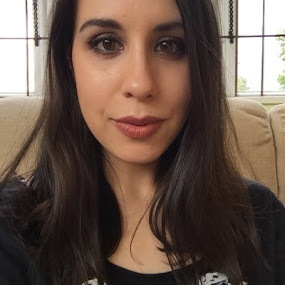 It gives the lashes a good boost of both length and volume, though it did get a little clumpy at the edges, but given its performance, I didn't mind too much. The Shape Up Brow Pencil comes with an inbuilt spoolie on one end and has an angled pencil tip on the other. It feels a little too dry and waxy for my liking, but if you're prepared to work with warming it up beforehand, it'll happily stay put all day. The Definition Duo Eyeliner Pencil, on the other hand, has a lovely smooth formula that's highly pigmented and is super easy to use. One end features a dark brown and the other a black, so this skinny duo twist-up pencil is a must-have for eyeliner junkies. To complete a full face of makeup, this handy Compact Duo features a mattifying powder on the top for a smooth and shine-free finish, and a slide-out bronzer underneath for an all over healthy looking sun-kissed glow. Both of the powder formulas are paraben free and have natural pigments to allow the skin to breathe. I really like both of them - they're finely milled, easy to apply and work with, and the bronzer looks very natural on. The compact has a decent sized mirror in the lid too, making touch-ups before and after the gym a breeze. 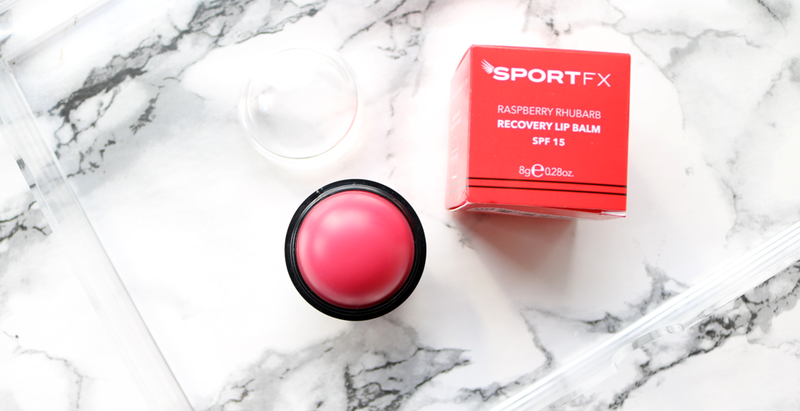 This lip balm was the only product that I tried from SportFX which I was very 'meh' about, simply because it doesn't really do anything that a good quality lip balm does already (the hint of pink tint and the rhubarb custard scent were good though). It feels initially moisturising on the lips thanks to ingredients such as Shea Butter, but I did find that my lips felt dry again after an hour or so, which made me need to reapply it more often than I wanted to. There are so many other amazing lip balms in this price bracket that you can pick up, so I'd give this one a miss. For that final step in your makeup routine, a setting spray is an essential helping hand, and this one not only fixes your makeup in place, but it also can be used as a refreshing, hydrating facial spritz whenever you need it. The mineral oil and paraben free formula feels nice and cooling and helps to control shine, so your makeup stays looking fresh for longer. A steal at just £5.99 and the perfect size for tucking into your handbag to use on the go. When you want to take it all off, these makeup remover wipes do the job effectively and quickly. The box of 20 wipes contains 10 sachets which have a specialised oil-based wipe on the left for removing eye makeup and waterproof mascara, and a micellar water infused wipe on the right for taking off the rest of your makeup. Both of these feel soft on the skin, work incredibly well and removed everything easily!